"Upon taking ownership of the club, as new owners, my husband and I found ourselves in a difficult situation. The established system had crashed and we were at a loss. NAC, with their expertise, quickly resolved the problem, bringing their staff to us and educating us on the system that was put into place. The system, InfinitiONE MMS, is fantastic. It is user-friendly. I love it! It makes my job easier. We are happy to have teamed up with NAC!" 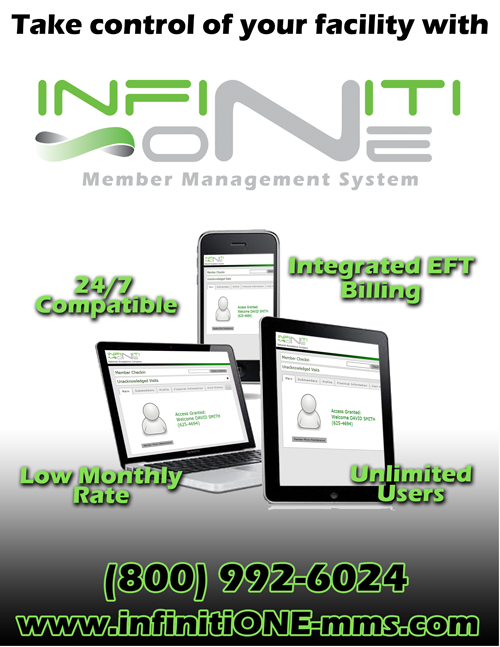 InfinitiONE Member Management System directly integrates with a variety of preferred vendors billing systems. Please visit Outsource Services, Inc. to learn more.